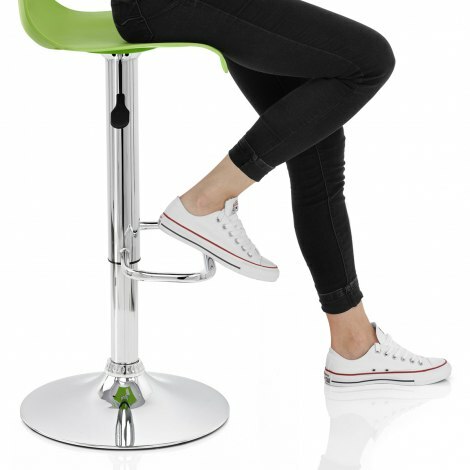 Many have marveled at the elegant, yet ergonomic design of the Serena Bar Stool Green. Lending a refreshing look to your breakfast bar, the Serena Bar Stool is certain to turn heads and makes for a stunning statement piece in a variety of locations. 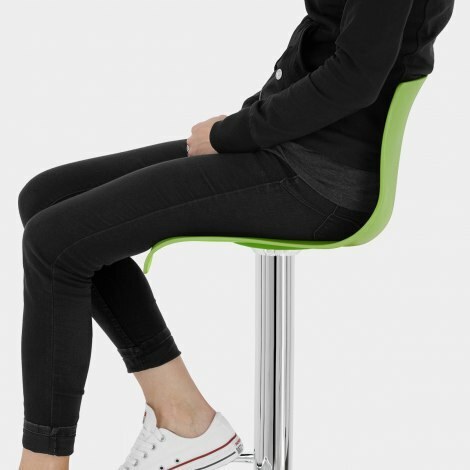 The textured seat, with a supportive backrest, is moulded from green matt resin that Is very comfortable thanks to the curving design that fits the body and cascades over the frame. Finished in chrome plated steel, the frame also has a rectangular footrest. 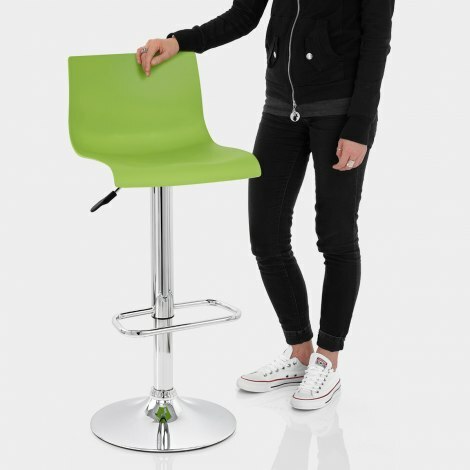 The bar stool has a gas lift mechanism, which can used to adapt the stool your preferred height, along with the feature of a 360 degree swivel action! A protective rubber ring encircles the chrome base, to prevent damage. "Certainly recommend the product and the company"
Really pleased with our new stools. Very good value, arrived the following day, and delighted with the colour. Would certainly recommend the product and the company. Thank you. Great product, very good value and fast delivery. Great stools for the price and quite comfortable! Ordered 7 of these and they all arrived next day as promised. For the price they are absolutely brilliant! I was looking at spending double on some other ones but these do the job just as well. They are comfortable although if you are using them for long periods they may not be. They are quite sturdy although not as solid as some of the more expensive brands but what do you expect for the price. They are easy to move up and down and look brilliant in my white kitchen! They were very easy to put together although the first two we put together, we didn't know you were supposed to remove the black cap over the air compressor and it got stuck in one of the parts which was slightly frustrating. However, the customer services team were amazing and when I sent them a picture of what we had done they sent us two new parts the next day! You cannot fault the customer services at all. I would definitely buy more of these if needed in the future. Thank you Atlantic Shopping!